By lights, we’re talking lamps, ceiling lights, mobile phones, tablets, laptops, tv’s, hallway lights etc. You get the idea. By doing this, you will not only shorten the time it takes for you to fall asleep but also the quality of the sleep. Further more, these devices add to light exposure we should already be avoiding before bed due to blue light. The reason why you need to avoid your devices is because our electronic devices emit blue light that are “short-wavelength-enriched” which suppresses melatonin thus interfering with your circadian rhythm. Your body clock is what tells you when to sleep and wake up. You should go to bed at the same time every night and wake up at the same time every morning. Doesn’t matter if you stayed up late, or accidentally slept in, go to bed and wake up at the same time anyway because once you’re in a consistent routine/rhythm, this will train your body clock to get tired at the right time of the day so you can sleep better. Eventually, through a bit of practice you’ll start to feel and have more energy due to better sleep quality and length. Why? You might ask. For many reasons. There is something therapeutic about putting pen to paper (writing notes in your phone doesn’t count) and just doing I guess what we call a “brain dump”. Write as much or as little as you want. The more you allow your thoughts consume you, the more likelihood of it promoting wakefulness. By doing the above, you’re essentially relieving your brain from any anxiety, stress, or work that is weighing you down and keeping you up at night. Ever felt really tired then hit the bed and feel like you can’t sleep cause all of a sudden, your brain is ticking over about everything that’s going on or things you need to do? Write it out and free your mind so you can get a good nights sleep. It’s all on paper now so anything you need to address, you can leave it for a new day. When I say avoid stimulants, I don’t mean cut it out completely. However, there are most definitely preferred times to be taking these if sleep is something you’re wanting to put focus on. Coffee and/or Pre-workout (for the gym goers) has a 5 hour half-life. This means if you’re taking any of the above say at 7pm, half of the ingredients will still be in your system at 12am. Alcohol can help induce sleep initially but it has been proven to actually to radically reduce your quality of sleep short term, and long term. If you’re a drinker having issues with sleep or wake up tired all the time, try cutting the booze before bed time for better quality sleep. Your body will thank you for it. Quite possibly my overall favourite and this is something I recommend everyone reading this do. 5 mins a day is all it takes even better if you can do it twice a day, one earlier in the evening to start priming the body for sleep and one right before bed. 5 mins is all it takes. Deep breathing can help you manage stress better, inflammation regulation, and activate your parasympathetic nervous system. Find yourself some quiet space where you won’t be interrupted and just have a moment to yourself to give this deep breathing exercises a go. This process can dramatically change your state of mind, calm you down, activate parasympathetic nervous system, and help you sleep better. I’ve found the following links and apps to be quite useful that I myself and athletes have used. Check these out for yourself and happy sleeping! You can’t put a price on your own health, and sleep plays a big role in your ability to function day to day. We need not talk about the damages the lack of sleep brings about because most people already know. Personally, I used to find myself tossing, and turning a lot in my sleep, and it would keep my partner up. Since investing in a Koala mattress, seeing how well it absorbs movements resulting in zero partner disturbance, we’re both getting a better night’s sleep. If this is something you and/or your partner have trouble with, I highly recommend it. 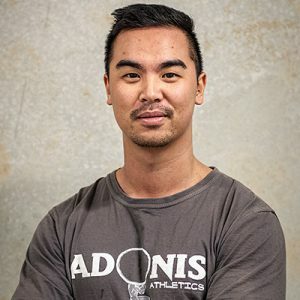 Will is the Co–owner, and Coach of Adonis Athletics Castle Hill, and Adonis Athletics Penrith. Will has worked with a range of people over the last 7 years ranging from the recreational lifter right through to the very elite in multiple disciplines providing coaching on both training, and nutrition. Across the two branches he currently houses multiple World Champions in Powerlifting, BMX and Fighters. National and Asia Oceania Champions as well as high level sporting athletes in both football, rugby and more.